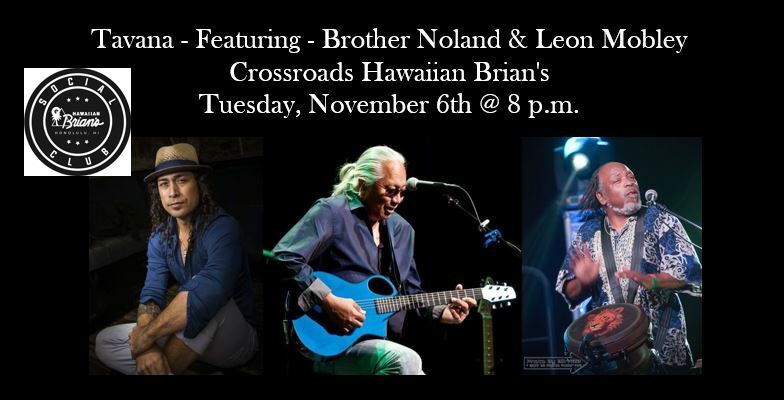 TAVANA is incredibly excited to be featuring legendary, powerhouse musicians - Brother Noland and Leon Mobley - on Tuesday, November 6th at Hawaiian Brian's in Honolulu, HI! 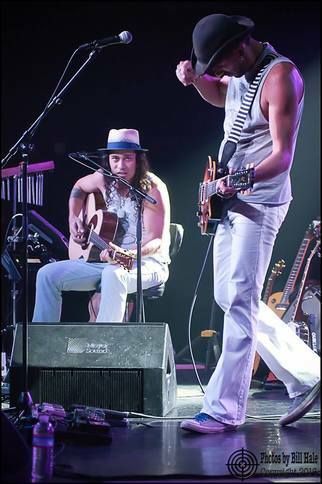 Brother Noland has had a legendary career that has influenced the Hawaiian music scene forever. Known to many as the "Father of Jawaiian Music," Brother Noland is perhaps most widely-known for his song, "Coconut Girl" which many believe is the first true example of the fusion of Hawaiian and Reggae music and was featured in the comedy film, 'Pineapple Express.' He is fluid on both Slack Key and standard guitars and is the winner of the State of Hawaii's "Lifetime Achievement in Music" award in 2014, as well as numerous Na Hoku Hanohano Awards including Best Reggae Album. Leon Mobley is a percussionist and drummer, a member of Ben Harper and the Innocent Criminals, and is the founder and artistic and musical director of Da Lion and Djimbe West African Drummers and Dancers. He has also worked and recorded with Damian Marley and Nas, and was a child actor on the PBS Television show 'Zoom' (1973). There will also be a number of other special guest artists at this one-of-a-kind POWERHOUSE showcase of some of Hawaii's very best musicians. Come on down for an incredible night of music after casting your ballots and let's all celebrate on November 6th!!! 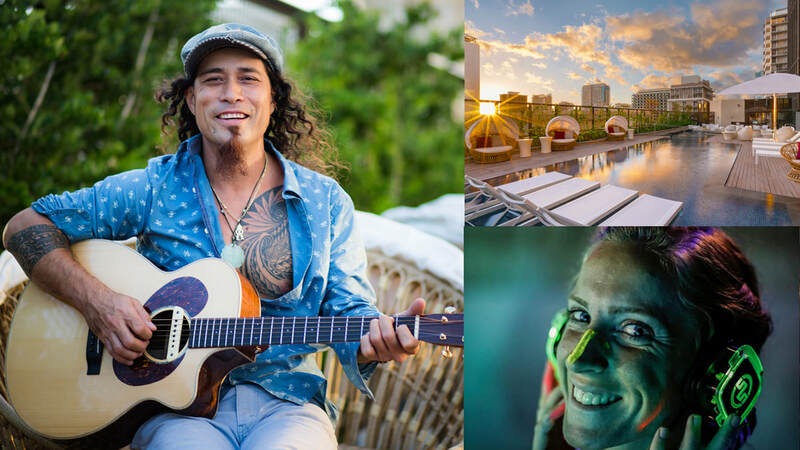 Tavana returns to Hyatt Centric Waikiki Beach this Friday, June 29th for a special edition of his weekly ‘Soul Sessions’ residency. After spending last weekend performing on the east coast at Wanderlust Stratton, Tavana’s got the summer buzz and is amped to take it to 11 at this Friday’s ‘Summer Celebration’ in Waikiki. Tavana will perform from 6:30-8:30 p.m. and feature guitar wizard Zach Gray as well as the wickedly good jazz saxophonist Jabari Prevost. The wading pool and hot tub are open throughout the night. After the show, there will be a summer fashion show and prize giveaways including round-trip inter-island airfare for two! To enter, simply walk in the door at Hyatt Centric this Friday between 6pm and 8:30pm. Every attendee 18 and over gets one entry and bonus entries will be awarded for showing off your best summer attire and spirit. At 9 p.m., a Silent Disco takes over The Lanai at Hyatt Centric featuring mix masters DJ Mr. Nick and Jerome James, plus a Cosmic Playlist (three streams for listeners to choose from). Admission is FREE and valet/self-parking is also FREE with $25 food and/or beverage purchase! $15 rental fee for Silent Disco headphones. Summer is officially here. Time to kick it into High Gear with Tavana this Friday!! ​Originally form Toronto, Canada, Jabari now resides in Honolulu and is a professional saxophonist, bassist, pianist and producer. He earned his music degree from Bemidji State University with an emphasis on saxophone and jazz. He has played alongside many greats of American jazz including Jeff Coffin (Bela Fleck, Dave Matthews Band), Wycliffe Gordon (Lincoln Jazz Center, Wynton Marsalis), Rashawn Ross (Dave Matthews Band, Jay-Z), Kiku Collins (Gloria Gaynor, Beyonce), Steve Smith (Journey, Buddy Rich Band) among others. 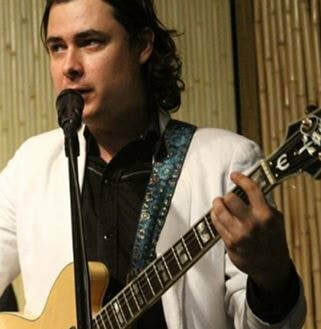 Zach was born and raised in Hawaii Kai and has performed with Tavana dozens of times in recent years - inspiring and wowing audiences with his class rock guitar mastery. 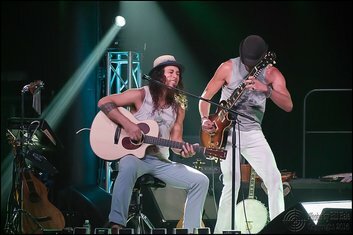 It just so happens that Zach also performed alongside fellow Friday night feature Jabari Prevost in the hit local band 'Natural Vibrations' in 2015.
dj mr. nick (aka Nicholas Yee - host of Hawaii Public Radio's 'Bridging the Gap' music program (9pm-12am Monday thru Thursday)) has firmly established himself as a premier conduit to both 'must hear' off-the-beaten path recordings and live beats that compel immediate dancing. Famed for taking listeners on globe-trotting romps, dj mr. nick is sure to elicit summer bliss while trapezing across exotic locales near and far. ● 9pm-11pm - Silent Disco with three listening channels: i) DJ Mr. Nick, ii) Jerome James and iii) Cosmic Playlist. ● Full dinner menu available at restaurant and lanai tables until 10pm + reserved seating available in restaurant via OpenTable.